"Killing yourself is a lot harder than peolpe think." LevelFilm has debuted an official trailer for a nihilistic indie comedy titled Dead In A Week (Or Your Money Back), opening limited next week. Made in the UK, the film premiered at the Edinburgh and Galway Film Festivals and has been flying under the radar for a while now. The story follows a young man who ends up hiring a genial 65-year-old hitman after his ninth unsuccessful suicide attempt. As in: "If you're serious about ending it, you need professional help." Aneuin Barnard stars with Tom Wilkinson, and a cast including Freya Mavor, Marion Bailey, Christopher Eccleston, and Gethin Anthony. This looks like an ambitious debut that's trying to mash up a few genres. After 27-year-old William (Aneurin Barnard) fails at his ninth attempt at suicide, he decides to take up a genial 65-year-old hitman, Leslie (Tom Wilkinson), on his offer to help out. Leslie has quotas to meet to keep his membership in an assassin’s guild, but when William meets the woman of his dreams things get more complicated for both men. 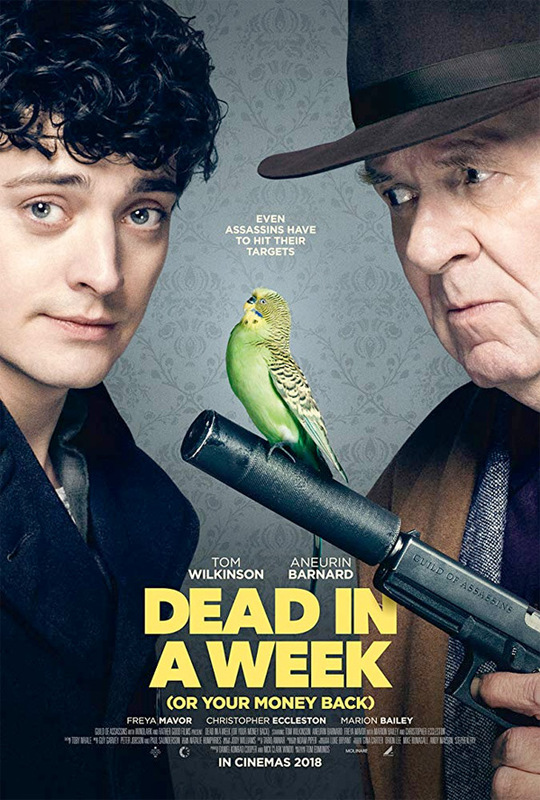 Dead in a Week: Or Your Money Back is both written and directed by British filmmaker Tom Edmunds, making his feature directorial debut after a few short films previously. This premiered at the Edinburgh and Galway Film Festivals this year. The film opened in the UK in October. Dead in a Week: Or Your Money Back will open in select US theaters + on VOD starting November 30th.